These are the courses scheduled for Summer 2015 that count toward the Film & Media Studies minor. To determine whether other courses may count toward FAMS, please contact the director. COMM 302 A01 Foundations of Mass Communication 7-10pm MWF Robinson B111 Tim Gibson | Theories and principles of mass communication emphasizing effects, the media as institution, and role of society. COMM 380 B01 Media Criticism David Miller | This asynchronous online course examines practical criticism of a wide variety of media texts including television programs, newspapers, articles, films, photographs, and advertisements. This course introduces principles of major contemporary modes of analysis for systematically interpreting visual and verbal forms of communication. This course is designed to enable students to formulate their own philosophies on the role of mass media-making and popular culture through the careful analysis of key theories of communication, the meaning and interpretation of media-making and the institutions that shape our social, political, economic, cultural and social values in a contemporary society. See more description here. ENGH 372 A01 Introduction to Film 3:45-6:45pm TRS Robinson B205 Carla Marcantonio | Introduces film medium as an art form. Satisfies the general education requirement in Arts. 42780 ENGH 373 A01 Film & Video Forms MTWR 12:30-2:45pm Robinson Hall A349 Cynthia Fuchs | The course focuses on how movies, videos, and TV tell stories, how they construct subjects and position viewers, by creating convincing, emotionally potent "realities." Looking at how fiction films, documentaries, and television take on similar topics, we'll examine narrative and formal conventions, political and historical contexts, and the effects of budgets, technologies, and commercial culture. Movies and TV may include American Crime, The Babadook, Dear White People, Girlhood, A Girl Walks Home Alone at Night, Gotham, Guardians of the Galaxy, The Jinx, John Wick, Lucy, Louie, and Selma. 42443 FAVS 300 A01 Global Horror Film MWF 3:45-6:45pm Music/Theater Building 1006 Tommy Britt | This course is an introduction to the horror film, its causes and effects. Taking an historical approach, the course begins with the genre’s literary and theatrical origins and traces its development into a modern (and postmodern) form of universal storytelling. Students will be asked to consider the evolution of the artistic, commercial, and sociopolitical aspects of the horror film. The course identifies how specific horrors arise from certain places and times and helps students to think critically about how horror texts both reflect and influence social and political circumstances across the world. Satisfies the general education requirement in Global Understanding. 43132 FRLN 331-C01 Samurai On Screen 7-9:40pm MWF ENG 1107 Michael Jeck | Swords clash as hard-eyed men duel over honor and humanity. 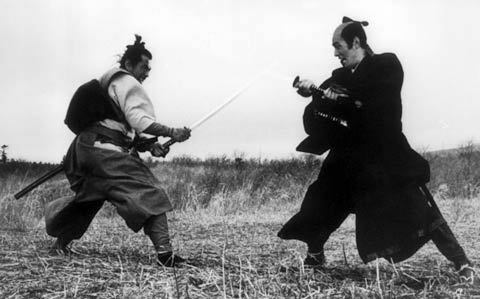 An unusual genre in world cinema, samurai movies have been a vehicle for contemporary social criticism under period guise, featuring great stars, personal expression by some of the world’s greatest filmmakers, and the most kinetic and balletic of action sequences. As we explore the films' particular techniques, students will acquire critical reading skills. This class requires no background in Japanese language, culture, history or film studies. All films with English subtitles and will be shown in their entirety during class periods. Satisfies the general education requirement in Global Understanding. 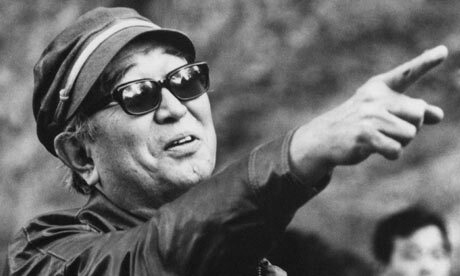 41705 JAPA 320 A01 The Films of Akira Kurosawa 7-9:40pm MWF Music/Theater Building 1002 Michael Jeck | From early works to late period spectacles, from samurai to business suits, from the classics to unsung, little known works, Akira Kurosawa's films form a remarkable body of work. This course emphasizes the cinematic means the great director used to dramatize his message of Promethean heroes at odds with their environment, acquiring critical skill re film along the way. It requires no background in film studies or in Japanese language, culture, and history, but it can’t hurt. All films have English subtitles and will be shown in their entirety during class periods.